Something I’ve been thinking about lately is the concept of trends in interior design. Trends definitely exist in fashion and more and more it seems like people (mainly advertisers and others trying to sell things) are trying to make them exist in interior design. I can’t help but wonder though (how Carrie Bradshaw of me! ), shouldn’t design be more about timeless, and less about trendy…especially when you consider the money that you spend on design? Like fashion, it’s undeniable that certain concepts or items in design go in and out of style. Right now the mid-century modern look is huge, the Scandinavian minimalist look is huge. So are these “trends?” Perhaps…but when the craze for one or the other passes, will they be thrown to the wayside? Of course not! Styles in design are much more lasting than that. 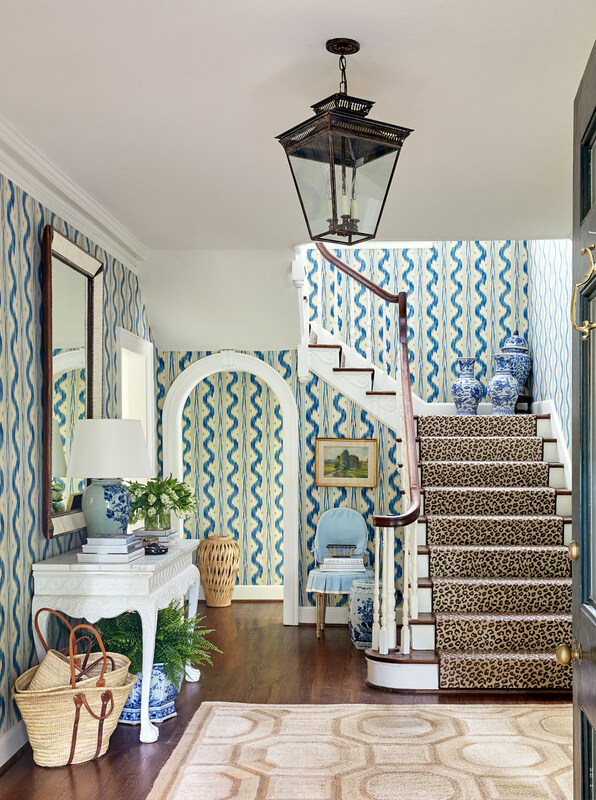 You can look at all of the things that have gotten trendy in the last few years – chevron, gallery walls, lucite…they’re design concepts that have been around forever, but just surged in popularity at a certain point. Inevitably when something becomes ubiquitous on Pinterest, blogs, magazines, and social media, it’s going to become oversaturated and then people will tire of it. With the access that we now have to constant content on the Internet and social media, this is definitely happening much more than it has in the past. To me, that oversaturation is what makes something trendy. But the fact is, things that have become ubiquitous at one point or another, like gallery walls, lucite, and chevron…they’ll never actually go out of style! People may get sick of them for a while but they’ve been around forever and they’ll never truly go away (nor would I want them to). When it comes to trends in general, to me, there are two sides – one is, wear and do whatever you want, screw trends! If you like it, who cares if some “tastemaker” says it’s “in”? On the other hand, most people want their home to feel feel fresh, not outdated. So you really have to find the balance between the two. I think we can all agree that following trends indiscriminately is not the way to go. You wouldn’t want someone to walk into your home and say “wow this looks so current! Your home just screams 2019!” (clearly no one would actually say that, but you get my drift). That’s not good, because what happens when 2020 rolls around?! Are you going to redecorate completely? Um, no! 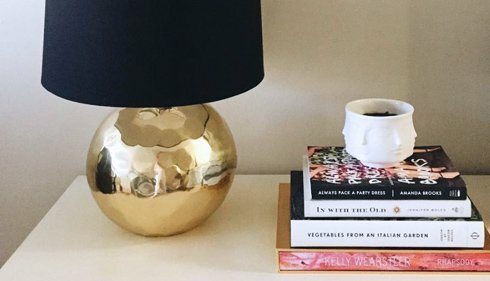 If there are things you’re going to include in your home that are all over Pinterest or that feel trendy, I think it’s important to incorporate some things that at least read as more traditional or timeless. What you don’t want is for it to look like your home came straight out a Pinterest board. That being said, the fact is, if you like something, you should decorate with it. Your space is for you, and you should use what you like and what makes you feel happy in your home. Just make sure you really love it and it’s not just something you think you love because you’ve seen it a lot on Pinterest or HGTV or blogs. Here are a few more tips I’ve concocted to make sure your home is filled with things you really love, trendy or not! I grant that this may be difficult to do if you’re not interested in design, but if you are, even marginally, I would challenge you to step away from Pinterest and instead study some designers you like. Well ok, find the designer’s work on Pinterest or blogs, but then go to their website and take a look around. What do you like about their work? Try to use that inspiration to help develop your own style (check out this post for some tips in that regard!). If you’re not interested in design, try to think about what you are interested in – and then translate that to design. Look at your closet – what do you like to wear? Color and pattern? Perhaps you’ll like colorful design. Mainly preppy clothes? 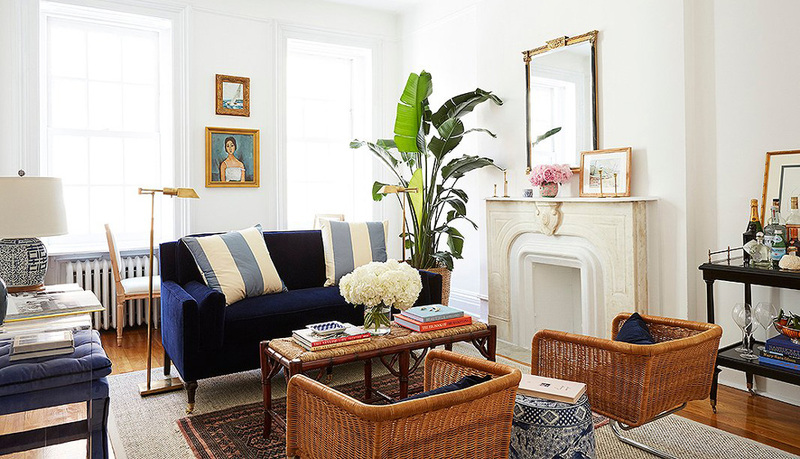 Perhaps you can work preppy elements into your space. If you hate design and have no interest in learning about it, pay someone to do it for you! That’s why designers exist. Sadly, true interior designers are way out of the price range for many of us (myself included), so try to find someone with good taste who has an interest in design and can help you. I think it’s helpful to keep the big pieces in your space timeless, and test out more trendy items on smaller things like pillows or framed art. This will save you money if you decide you don’t like something down the road, and it also gives you an easier way to change up the look of your space if you feel like it later. Try buying some items vintage or secondhand. You’re more likely to find unique pieces that will stop your home from feeling too trendy, and these will give it some gravitas and a sense of history. You want the pieces in your home to have character, not all be from West Elm. A little bit of West Elm is great! A whole apartment of new big-box stuff is not so great. Get some stuff from your parents if you can. This is such an important step to keep your home feeling timeless, rather than trendy. On that note: don’t buy everything at the same place! You have to mix it up. If everything is from the same two or three stores, you’re going to fall victim to a look that’s too cookie cutter and reads as too “of the moment”. 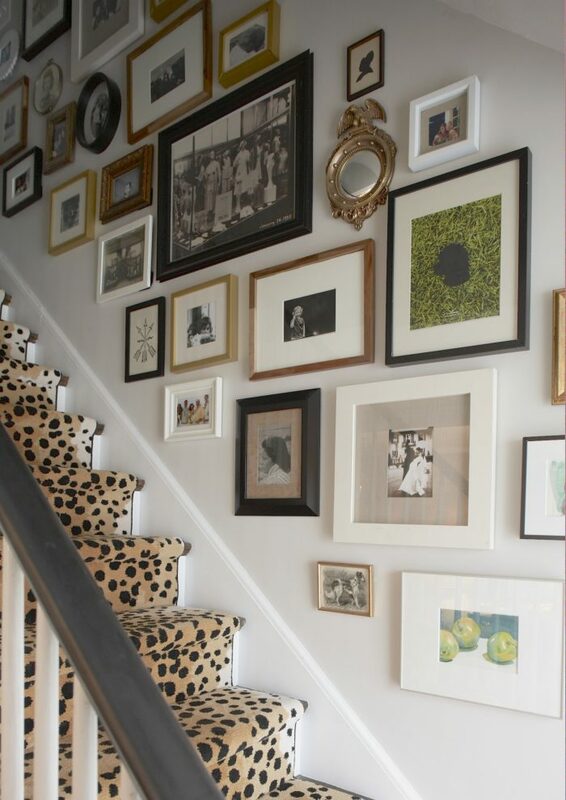 You need a good mix to give your home personality and make it feel more classic, but still fresh. Incorporate one trend (or thing that feels really current) – not all the trends. If you do love something that you know feels or seems trendy, use it sparingly. For me, that’s my ghost chair. As I mentioned above, lucite furniture is something that’s been around for decades and always will be around! However, I know that the ghost chair in particular has been around blogs and Pinterest plenty and so it may have a trendy feel. That’s why I only have one lucite piece and the rest of my living room has a more traditional, classic look. What’s your take? Do you think design trends exist, and if so, should they be avoided? My overarching thought is that design trends are the type of thing that websites and magazines push because they need content, and they need content that feels new. My wish is that instead of talking about trends, the conversation can be about good design, be it new or old, and what makes it good. I’d love to see magazines/blogs talk about about how you can take a classic space and update it to feel more fresh. I’d rather read about that than another trend forecast any day of the week! PS – Erin Gates wrote a great post about 2019 trends, contrasting what was super popular last year with what will likely replace it this year. 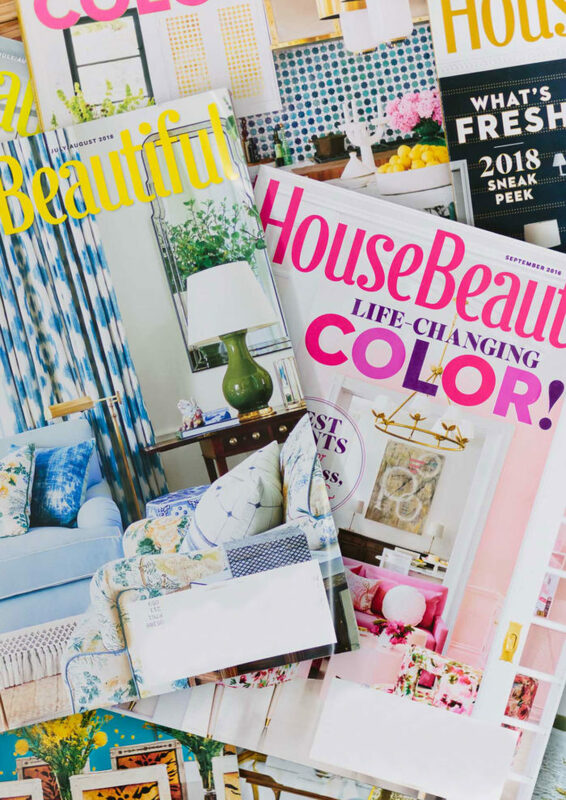 The Drama at House Beautiful: What Do We Want From Design Magazines?